Lavender Purple Turquoise Blue iridescent dupioni silk fabric. Brand New High-End Dupioni Silk Fabric Yardage. 45 inches wide. 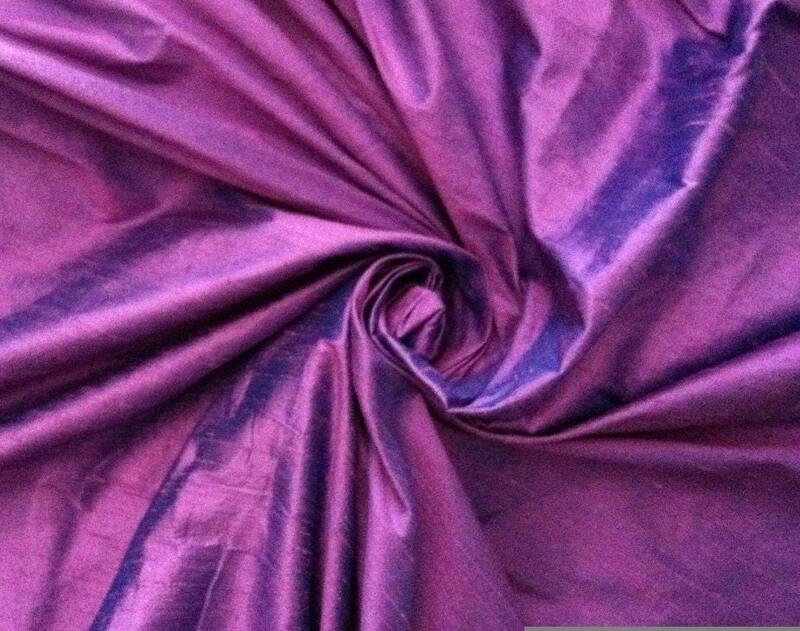 It is a lavender color silk with turquoise making it strikingly iridescent! This is our new color for 2014. Beautiful color and AMAZINGLY FAST SHIPPING! Great seller!